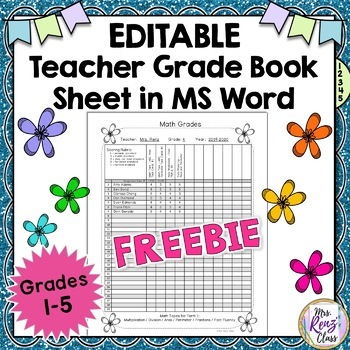 Editable Grade Book Page - MS Word Student Data Page Editable FREEBIE! 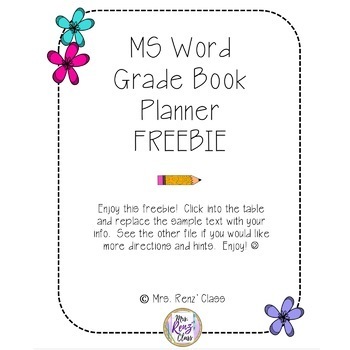 If you love MS Word and want to keep your grades in a MS Word planner, look no further! This is a free sample of a grade book page you can type your student names and grades into using MS Word. The graphics stay "locked" in the background. You just click into the cells or text boxes and type your content into the tables. 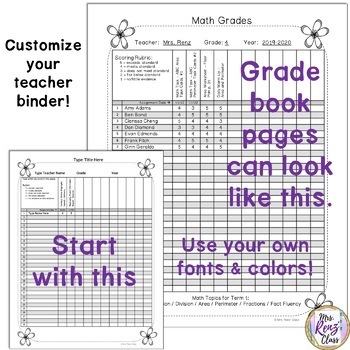 Save your grade book page and data and re-use it year after year. So easy to use. It's pretty awesome! 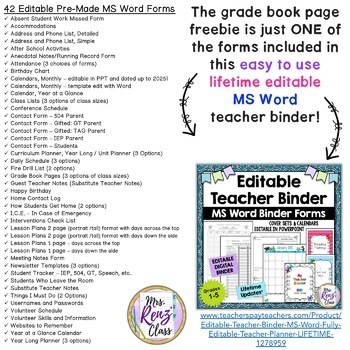 This grade book page is just one of 42 forms included in my LIFETIME* Ultimate Editable Teacher Binder set.